Los Angeles County will double the size of its Castaic Library with an eye toward buying the property, if the Board of Supervisors gives the green light Tuesday. The county currently leases 6,985 square feet of space for the library in a shopping center on Sloan Canyon Road in Castaic. Under the new proposal, the county would shift $2.14 million out of its Stevenson Ranch Library building fund and use another $1.87 million in developer fees and $4 million in library operating funds for a total of $8 million to expand the Castaic Library to 12,232 square feet, with an option to purchase the property. 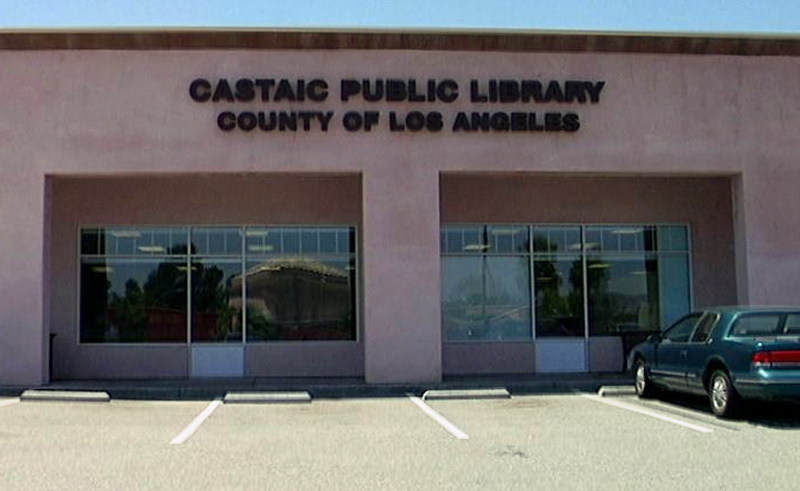 “The library expansion and proposed acquisition allows the county library system to continue long-term service to all residents of Castaic and the surrounding unincorporated county geographic area,” according to a document from county chief executive William J. Fujioka. Taking $2.14 million earmarked for Stevenson Ranch and putting it into Castaic won’t jeopardize a future library in Stevenson Ranch, said spokesman Tony Bell and Lori Glasgow, Supervisor Michael D. Antonovich’s library deputy. County officials have struggled to identify a location that will work for a Stevenson Ranch library. The eventual Stevenson Ranch property could be either leased or owned by the county, Bell and Glasgow said. 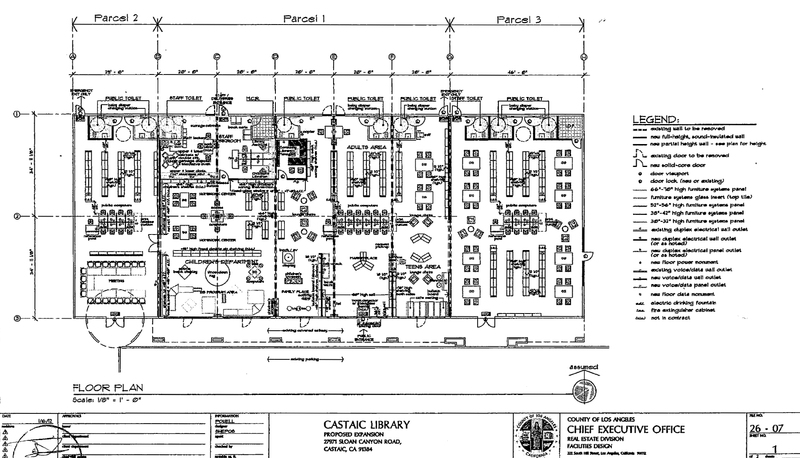 Meanwhile, an expanded Castaic Library will serve the whole unincorporated county SCV region, Bell said. The County Library has occupied the space at 27971 Sloan Canyon Road since October 2008. The shopping center was purchased in 2010 by Castaic FCG Properties LLC, an investment company in Amarillo, Tex., which has offered the county an adjacent 5,247-square-foot space and now is discussing a sale to the county. The county would reimburse the landlord $1.97 million for additional tenant improvements and spend up to $1 million on design, construction, furniture and equipment; $250,000 on new books and materials; and $200,000 for new telephone and data systems. The landlord would provide 24 additional parking spaces for a total of 54, and the lease would extend through 2023. Fujioka, the county’s chief administrative officer, is also asking the supervisors to authorize him to execute an 18-month option agreement to buy the one-acre site that includes the 12,232-square-foot space at a proposed purchase price of $2.35 million.